People who are not familiar with gear motors find motor options confusing. Most of them look the same, just with different configuration. However, what they don’t know is that each piece is designed for specific applications. Gear boxes or motors have different types and class depending on the subject – alignment, size, shaft configuration, application, etc. One of the most common gears is the hollow shaft gearmotors which are popularly used in levers and pulley systems. Just like any other, it also comes in variety. Flexible. It is flexible in terms of configuration and application. A type or a piece is not limited to one application. You can use it for whatever you need it for as long as the purpose is correlated. You do not have to worry about being wrong with your choice. Compact. The hollow shaft gearmotors are compressed. This allows the gear motor to fit in any bearing, even with limited space. This also means that spacing won’t be a problem and it will be easy to install and uninstall because parts are already stuck together, thus creating one single piece. Durable. Most, if not all, hollow shaft gearmotors are made of metal, specifically stainless steel. This means that it is resistant to corrosion. Its durability poses a great advantage for you because you will be able to use it for a long time. That is a guarantee for all consumers. Also, it won’t be damaged easily or get broken with strong pressure or force. This means that you can save on maintenance. Sustainable. A hollow shaft is sustainable because it is made of steel. Steel or any other strong metal can last for about 100 years. It can be recycled and reused to make new products. 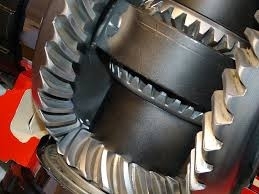 It can be melted and molded again to make a gear motor. This lessens metal pollutants, thus saving the environment from degradation and humans from health risks. Low Maintenance. Hollow gear motors are easy to clean. The part that you should regularly check is the hollow shaft. Make sure that there is no debris stuck to it. Other than that, you don’t have to worry about other parts. Also, since it is durable and doesn’t break easily, there is little probability of it being replaced soon. Cost-effective. You will be gaining more without spending a big amount. As you can see, these hollow shafts can always be put into good use. You just have to find the right quality and manufacturers that you can trust because it all starts from there. You can search it up online and order through emailing manufacturers from all over the world. Or, you can go to the nearest gear motor shop. Whichever mode of purchase you use, make sure that you look into their motors keenly.